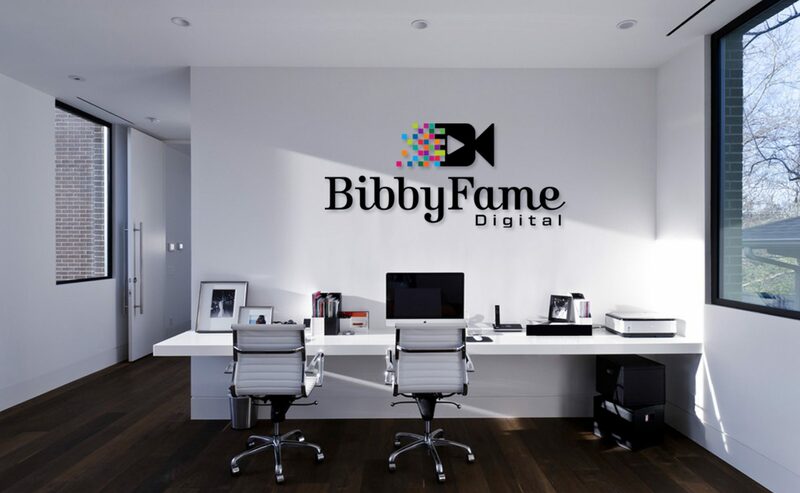 blog – BibbyFame Digital, LLC: Photo, Film & interactive media co. The internet is built on video! Video has changed the way we capture, create and consume content from websites, blogs and social media. Fun fact: One of my first personal video cameras was a Flip Ultra HD when I was in middle school. The device allowed two hours of HD video, came with proprietary editing software, was battery-operated and cost less than $200. It was quite innovative at the time since smartphones weren’t equipped with HD video capabilities (or the space / speed required). Times have since changed and video capabilities are accessible by everyone. The fact that online video is a great way to connect with your audience and develop a following is undeniable. We all turn to images where numbers or words can’t get the job done. The concept of storytelling through photographs is nothing new. Photographs are compelling content, and this basically explains the popularity behind image sharing services like Pinterest and Instagram. There is a saying, “A picture is worth 1000 words.” In contrast, I would imagine a video is worth 100,000 words *snickers*. Funny enough as a content creator and filmmaker, my emphasis was never on personal videos, being a vlogger or YouTuber per se. I used visual storytelling to promote companies and causes, but me? Meh. Not so much. I spend much more time behind the camera than in front of it. I named this post “filmmaker turns the lens,” because I literally had to shoot myself … with the camera, what did you think I was talking about? 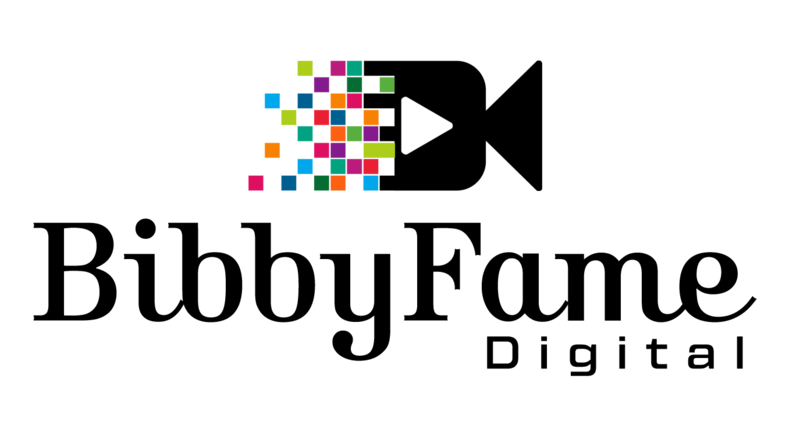 Okay, story-time … recently, I was selected as a finalist for the Television Academy Foundation internship in Interactive Media (New Media / Social). This category blends my talents and interests because it’s a hybrid of photo, video, text, mobile, audio, social, animated-GIFs and EVERYTHING THAT SPARKLES. From what I hear, the candidates are selected by the same panel that pick Emmy winners. Nonetheless, I was super excited to even make the final round. Here’s the catch, one of the final requirements in request of consideration for the position is the completion of a web interview. When I tell you I had HireVue flashbacks … OMG. I hate it. I learned something from the experience, though. I am never the subject of my own videos! I need to address this head-on and get as comfortable in front of the camera as I am behind it. In this week’s lecture, Professor Dunnington played a video clip from Amy Schmittauer. Her book, Vlog like a Boss is next up on my reading list. Let’s get away from me being a deer-in-headlights while in front the camera for a moment and revisit the importance of video content. Below are a few highlights from two Dunnington lectures (on Digital Video and Vlogs, and Communicating with Images and Video in a Mobile and Viral World) and from David Meerman Scott’s The New Rules of Marketing and PR. Use photos that support the text … and write text that support the photo. If you create an interesting story, others will share it for you. When an idea takes off online, it can catapult your brand. Find topics that interest you and pick subjects organically; don’t script things. Videos WILL HELP introduce people to your business. Use descriptive words (keywords) in file names. I recently finished reading the David Meerman Scott book and wrote a review. Be on the lookout for that. I am also attending the screening for our film, Daughters of Solanas tonight at the Museum of Moving Image in New York. Bookmark my page and be on the lookout for updates. Take care. As a content creator, it is imperative to have an understanding of SEO and content marketing. This will help you navigate the online space and understand what “works” for the marketplace. Most importantly, this will arm you with important tools for driving your works (and business) forward. WE ARE ALL CONTENT MARKETERS NOW. In this article, I’ll explore the intersection between content creation, search engine optimization and digital marketing. I will also delve into Hyper Local SEO and Marketing – How US Marketers Win Global By Going Local by Donald L Dunnington, extracting the major points applicable to filmmakers and content creators. The secret to successful content marketing isn’t actually a secret. It involves the commitment to producing a continuous stream of useful and engaging content. A poignant statement from Dunnington is, “SEO is the new PR and PR is the new SEO.” While SEO media relations are focused on online media and search engine results pages (SERPS), there are comparable objectives with public relations professionals, since the emphasis for both are increasing brand awareness, relationship building and boosting placements. The digital age takes content production to a hyper level and there is a premium placed on consumer-friendly, authentic content. This holds true for various platforms: websites, blogs, YouTube channels, social media etc. As filmmakers, we are all looking for innovative marketing strategies to engage our expand our audience. This involves researching your niche audience and how to reach them. I mention this to stress the importance of SEO and relationship building. I will write additional articles on avenues, such as posting behind-the-scenes moments, creating graphics, strategically hashtagging and personalizing the experience for your audience. Stay tuned, and bookmark my site. CONTENT IS KING. Quality in-bound links start with producing original, quality, authentic and compelling content for online, social and mobile platforms. WE ARE ALL CONTENT MARKETERS NOW. This is the prime driver of sales leads for B2B and B2C industries. SEO is the new PR and PR is the new SEO. Develop a personal touch, stay in contact, maintain a two-way relationship. Relationships are built in relevancy, quality and the value they bring to the vertical market they serve. Sidebar: One lesson I learned directly from the author, Donald Dunnington, who happens to be the professor of my grad-level public relations course at Rowan University is that Google penalizes sites that contain duplicate content. This was important because I had a secondary site geared toward women in tv and film where I would republish some of my articles and blog posts first featured on this website. After this discovery, I later elected to create a category page. There are important technical considerations involved in our quest for SEO relevance. Oftentimes, creators share the same content across social media and various platforms, however, with blogs in particular, even if you are the original author, you should be mindful of mirroring duplicate content across sites because there are associated search engine penalties. I am pleased to announce I accepted a summer internship with INSPIMIND in Paterson, NJ. In this position, my major duties include coordinating video production activities, editing footage, adding subtitles to videos, promoting on social media platforms, photography, planning & scheduling shoots, and collaborating with both the Production Team and Content Development Team. Things kicked off to a great start last week with a video shoot at Henry P. Becton Regional High School in East Rutherford, NJ. We ended the evening with a team-building hike at Mills Reservation in Upper Montclair / Cedar Grove. One of the things that struck my interest with this organization is its ongoing commitment to the community. INSPIMIND aims to continue the cycle of higher education and foster leadership, particularly with young minorities. I’m thrilled to be able to document its activity through film and social media, while exploring SEO and developing an online visual strategy to promote INSPIMIND as it reaches out to colleges/universities, high schools, and middle schools. I can laugh about this experience in retrospect. At this precise moment, the teleprompter became possessed in Professor Winkler’s TV Production 1 class. I was Producer [slash] Talent A in this newscast and there was no opportunity to STOP the production and have a do-over. Luckily for me, since I wrote the copy and tweaked several times … I practically had it recited. Everything turned out okay. Even though this is a clearly a case of things going WRONG (and this semester had plenty), unintentional learning provided some of the strongest lessons I’ll take away from these experiences. My crew encountered last minute scrambling and schedule changes because our Spring semester was Winter Wonderland and we had freak snowstorms several times. We booked equipment for an outdoor shoot on GREEN environmental initiatives, but our campus was winter WHITE. Oh, and I can’t forget the clicking sound of my hard drive going dead the day before I had to submit final edits or my SD card going wonky in the middle of a photoshoot. What skills have I developed? RESILIANCE, PROBLEM SOLVING, PERSISTANCE, FLEXIBILITY, IMPROVISATION (and countless others). These are what I like to refer to as positive side effects from the collegiate experience. Many social media options exist for strategic communicators to deliver messages, and for companies to brand itself. A few options available include Facebook, Twitter, Instagram, LinkedIn and Google+. Focusing on Facebook and Instagram specifically, there are advantages and disadvantages associated with each platform. From a business perspective, a downside is that people don’t use social media to view advertisements. Ad placement on Facebook is easy to ignore. On Instagram, ads are integrated on the feed in a way that makes it natural to view. Ideally, both sites can be used for engagement to build relationships with target audiences by posting relevant content. While many possible benefits exist, there are also many ways social media can stand to hurt a business. For instance, there is pressure to actively use the platform. Having infrequent posts can be considered even worse than not having a page at all from a branding perspective. Also, you are giving content to each site your business is active on. For some businesses, this takes away from the time and dedication spent on developing its own company site. A business shouldn’t drive traffic to another platform for its products and services. More content on social media can translate to less e-newsletter sign-ups, less reporters utilizing its newsroom, less target audience web traffic and ultimately, less backend data it has access to. Social media should be used as a tool to drive people to the company website and events. Another disadvantage is lost control of the message. People start to share and change the message, leave comments, create memes and so forth. Social media also forces public customer service because you have direct communication with reporters and your audiences. There is pressure to respond to items expeditiously, and during times of crisis – there is an incredibly fast pace. Analytics is an area that served as an advantage primarily for Facebook, but now the playing field is almost even. Facebook has distinctive business profiles that allowed advertisers and businesses access to promotional tools and additional information on traffic (number of visitors, time spent, links clicked, gender) etc. This information is now available on business profiles in Instagram. I am super proud to announce that I am now part of the illustrious sisterhood of Sigma Gamma Rho Sorority, Inc. I gained seven sisters who are equally dedicated to the community and scholastic achievement. I completed this edit using cell phone footage curated from a variety of sources. Public relations and advertising copywriting are closely related. Strategic communicators often decide between the two, but successful campaigns generally include both. The difference between the two is a matter of control, credibility and media use. If a company desires ultimate control of the message, wording, graphics and channels, advertising is the preferred technique. With advertising, emphasis is on control since this method allows you to select the audience, message and channel. With public relations, emphasis is placed on the credibility provided by having stories picked up by a third-party source. Public relations translate to forfeiting control of the MAC triad (message, audience and channel). There is risk associated with this method since you lose control of the message. You have no idea if the message will change, remain in-tact or if it’ll be covered at all. In the PR Writer’s Toolbox (2013), we are provided with a quote from John Elsasser, Editor of PR Tactics, “Advertising is what you pay for, PR is what you pray for” (Basso, Hines and Fitzgerald, p. 140). Public Relations is usually thought of as unpaid and “earned” while advertising is “paid-for” publicity (139). PR writers use paid messages to advocate for a position. The common types of public relations advertising include advocacy / issue, cooperative, house, cause-related marketing (CRM), public service announcements (PSA) and institutional. With advocacy / issue, messages are used to take a position on an issue. Cooperatives feature collaborative messages that mutually benefit two or more companies. House messages are in-house. A common example is a television station playing commercials for network programming. CRM includes sponsorship and cases where a company aligns itself with a cause or issue impacting its demographic. PSA is publicity for public service / public good. Institutional refers to image ads for the company. These messages don’t promote a specific product or service, but rather the business as a whole.